What’s the root of this growth of (and interest in) this little Central Alberta gem? Let’s find out. When we released our article on the top Central Alberta towns average household income for Penhold was inching towards the $100,000 mark. As we pen this piece, it is now above that economic milestone (near $105,000/yr). Discretionary income (income spent on luxury items and non-essential commercial goods and services) is well over $50,000/yr, due in part to the fact that 90% of residents own their home. Simply put, Penhold residents have money (and lots of it) to spend on your product/service. Another element essential to the viability of longterm success of a commercial enterprise is youth of population. The peak age range among the 3,000+ residents falls within the 25-34 year old category. These young, skilled, and financially secure households are having children, as evidenced by the 0-9 age range claiming title to second largest demographic group in Penhold. The recent news that Penhold is receiving significant FCSS funding for exciting new child and youth programs is a testament to its young and expanding population. As noted in the introduction, the town of Penhold is committed to fulfilling its growth prophecy. 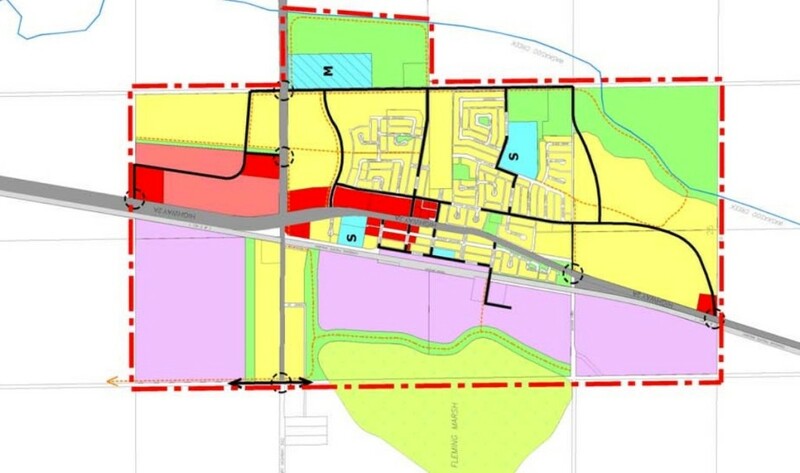 Over the past ten years, when it become evident that more literal room was needed to grow, the town demanded it and got it (in 2008) through Red Deer county annexation. This passionate dedication to residents and injection of businesses to meet their ever-growing needs speaks to Penholds undying potential. If you want to build it, the acres will be made available. If you’re wondering if a population base of approximately 3,000 is enough to support your commercial business then wonder no further. Penhold is surrounded by a slew of Central Alberta towns, with residents (for B2C) and businesses (for B2B) coming to Penhold to fulfill their consumer-based needs. Penhold is 25 minutes from Sylvan Lake, 15 minutes from Red Deer, 25 minutes from Lacombe, and around an hour and a half from the metropolises of Calgary and Edmonton. A constant wave of customers flows through Penhold, be sure to be there to catch it. Like most area towns, working with the support of the Central Alberta Economic Development Authority, Penhold’s municipality is welcoming to businesses entering the township. Without fail, commercial building permits have been on a steady climb from 2010 all the way through to 2015 and present day. Start by completing this Development Permit Application and then proceed to contact our Central Alberta commercial contracting company at 403.340.6777.